MiRo-B is a fully programmable autonomous robot for researchers, educators, developers and healthcare professionals. With six senses, eight degrees of freedom, an innovative brain-inspired operating system and a simulation software package, MiRo-B is a flexible platform suited for developing companion robots. The future social robots will share our personal space, interact with us and with each other to provide emotional engagement and entertainment. 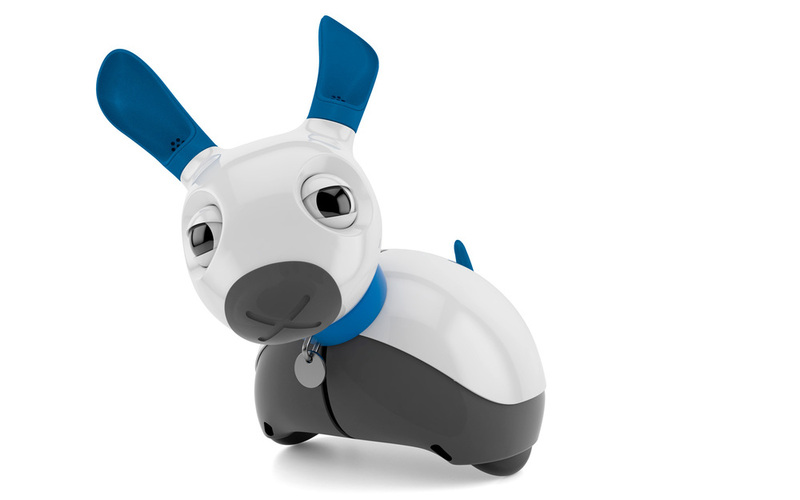 MiRo-B is based on the simple premise that animals have qualities that are desirable in today's social robots. They are robust, adaptable and good at communicating their feelings. Our approach is to build robots that think and operate very much like animals; from their senses and decision-making processes, all the way through to their bodies and behaviours. This makes MiRo-B particularly suited to robot-human interaction and robot-robot team interaction. MiRo wins Best Demonstration Award at the 2017 Human Robot Interaction Conference in Vienna, Austria. Consequential Robotics is a service-robotics startup developing solutions for applications in homecare, health, education, and lifestyle. Founded by the leading UK consumer product designer, Sebastian Conran, Professor Tony Prescott, Director of the Sheffield Robotics research institute, and biomimetic roboticist Dr Ben Mitchinson, the company’s main focus is developing assistive robotic systems that will enhance quality of life as people age. The companies IP portfolio includes innovations developed with researchers at the University of Sheffield in the areas of mechatronic design and “brain-based” biomimetic control. Blending a proven record in product design with cutting-edge research, Consequential Robotics aims to be the UK company that will bring emotionally engaging, useful and aspirational robot solutions into homes around the world. Our Miro was having problems with his yaw joint. I thought we were going to lose him for at least three weeks, which, based on our experience, is the time most of the robotics support centers take to solve one of these problems. But this was not the case with Consequential Robotics Lab. If you would like to receive updates on MiRo and other product information, please subscribe to our newsletter below.